By choosing to use copy produced and supplied by CJM Copywriting, you (the client) accept full responsibility for the detail and claims contained in the copy, thereby indemnifying CJM Copywriting against any loss, claim, damage or liability that may arise out of the use of any copy. Once supplied by CJM Copywriting, all copy is subject to final sign off by the client. Copyright of the written content is handed over to you, the client, and can be used and repurposed without limitation. 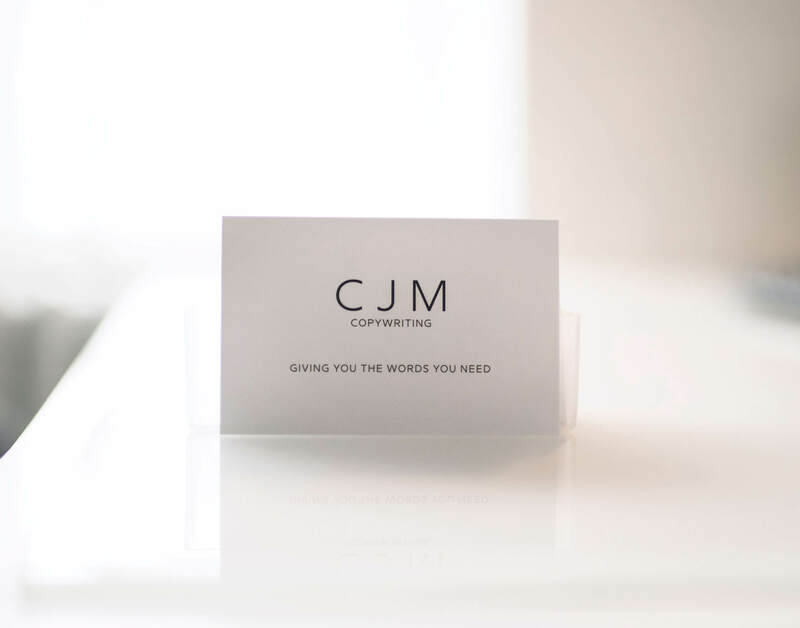 Unless expressly stated by the client, work created for clients will be featured on CJM Copywriting’s online channels and portfolio, in-situ in the final piece of design or digital communication.